GKKA is 50 years and growing! 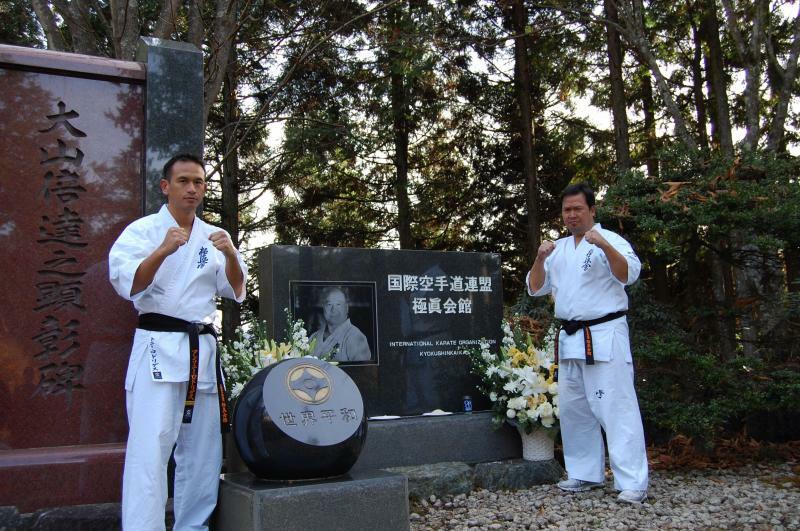 Established on Guam in 1966 by Shihan Joe Tedtaotao (yon dan) Kyokushin Karate was created by Founder Sosai Masutatsu Oyama. Since then, hundreds of students have come through these training doors. 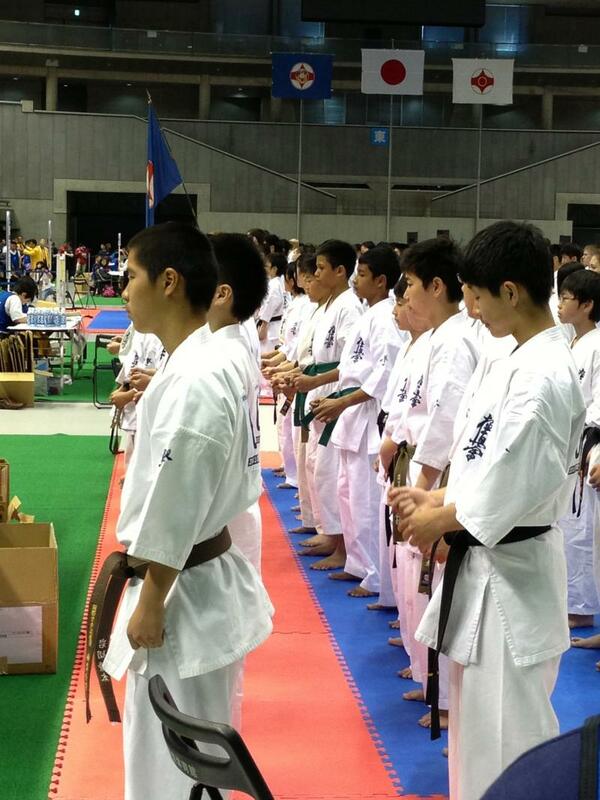 And of that number, only a handfull of those students have gone on to become blackbelts, and eventually, instructors. 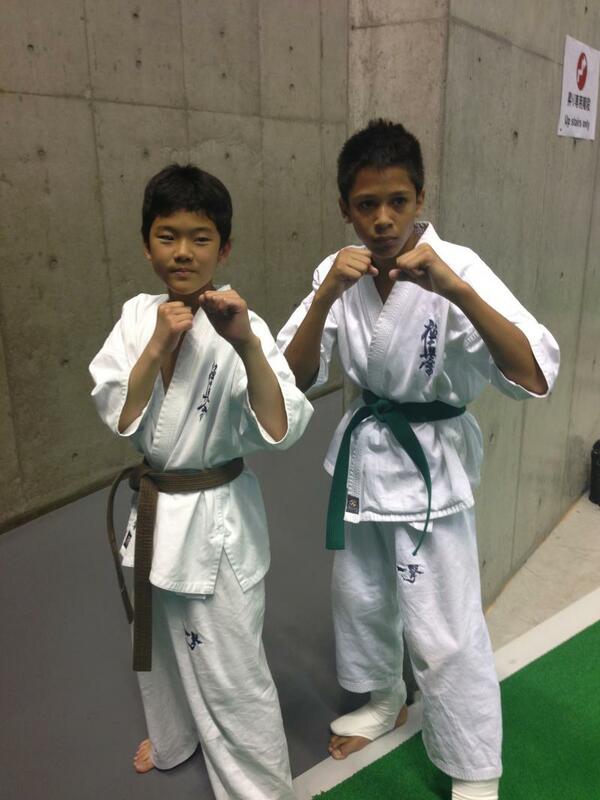 Our blackbelts have proven their strength, ability and competence by completing the difficult and ardous Yudansha 'blackbelt' test. Often times these tests can last up to two days. 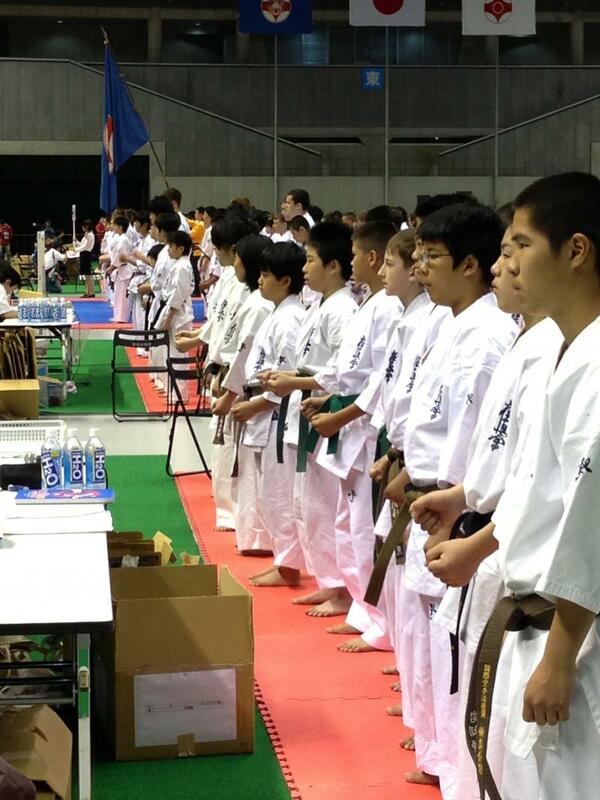 Currently Hagatna Dojo is the only official IKO sanctioned dojo. GKKA Fundraiser. Kids having fun at the car wash! Students leaving their mark on their new dojo. 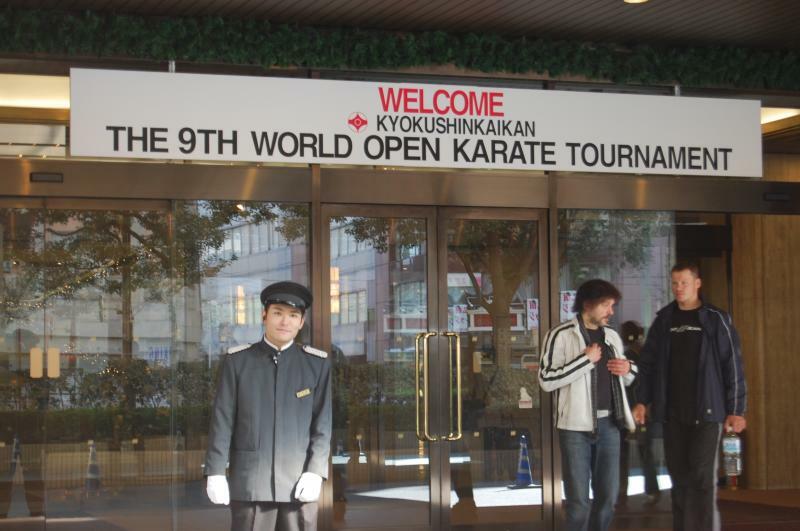 The front of the famous building where the 9th World Tournament was held November 2007. 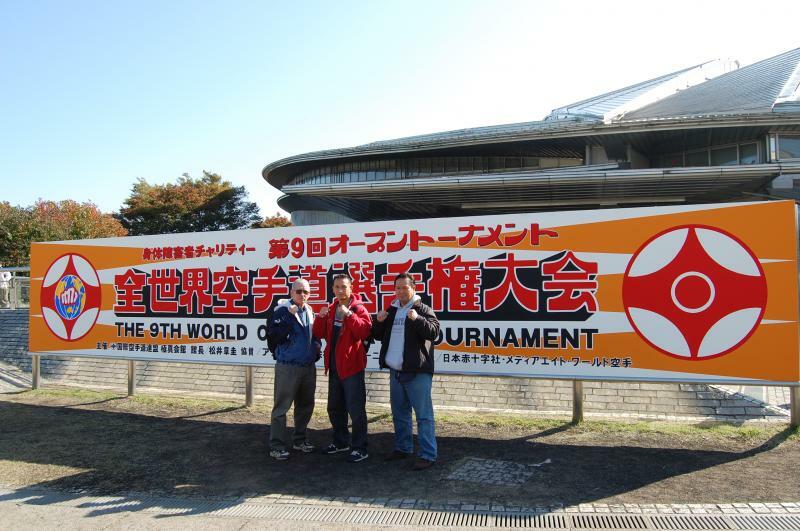 Sensei Kin, Tony and Fred in front of the Kyokushin Tournament sign! 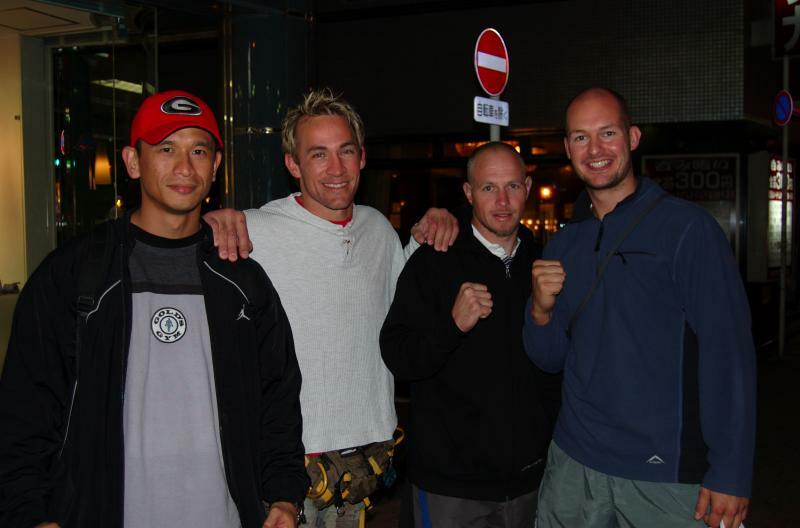 In front of the Metropolitan Hotel where Kyokushin Fighters, coaches and friends from around the world stayed. 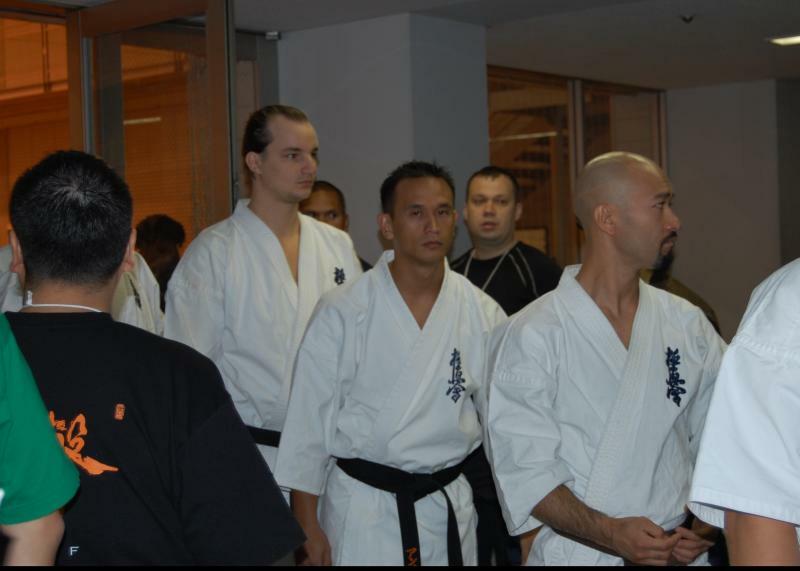 Senpai Tony standing in front of the Kyokushin Kanku. 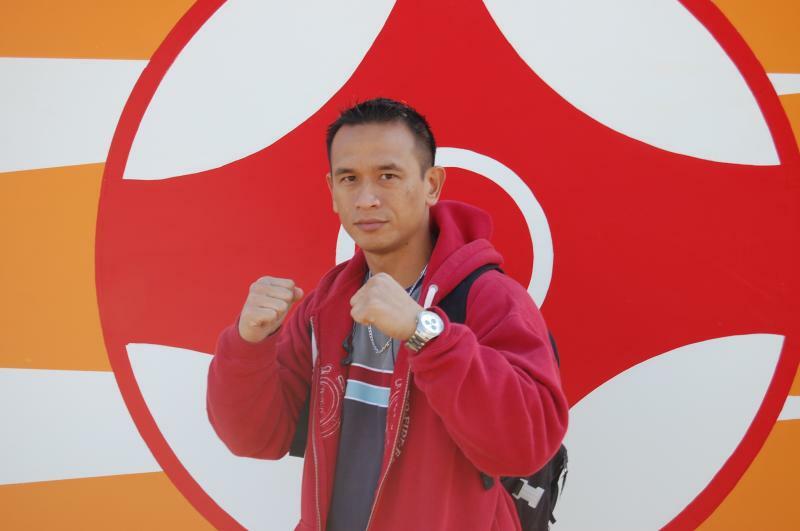 Tony Rodriguez Guam stopping for a pose with the other 9th World Tournament fighters from South Africa. 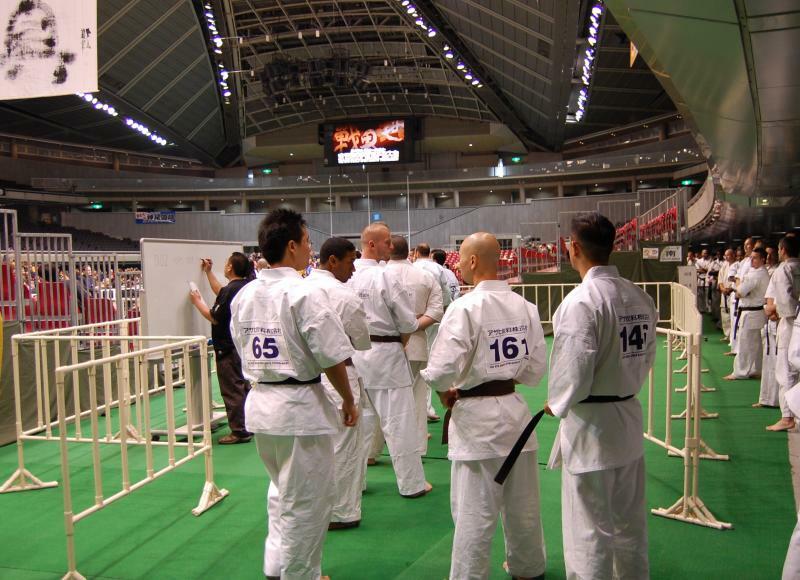 Tony with other fighters from around the world await the start of the three day tournament. 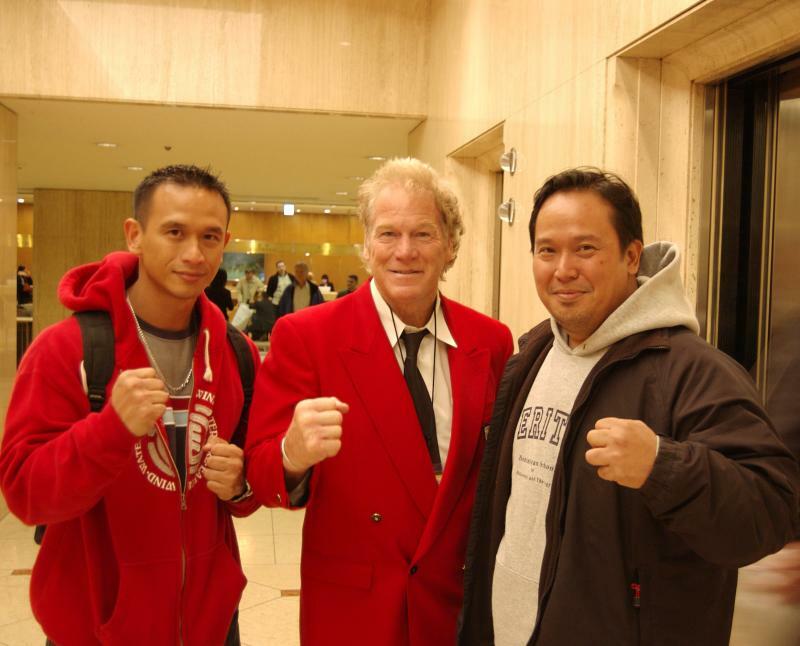 Tony Rodriguez representing Guam and the USA in the 9th World Tournament in the Tokyokaikan 2007. Tony Rodriguez (#146) to the far right stands in line with the United States Team. 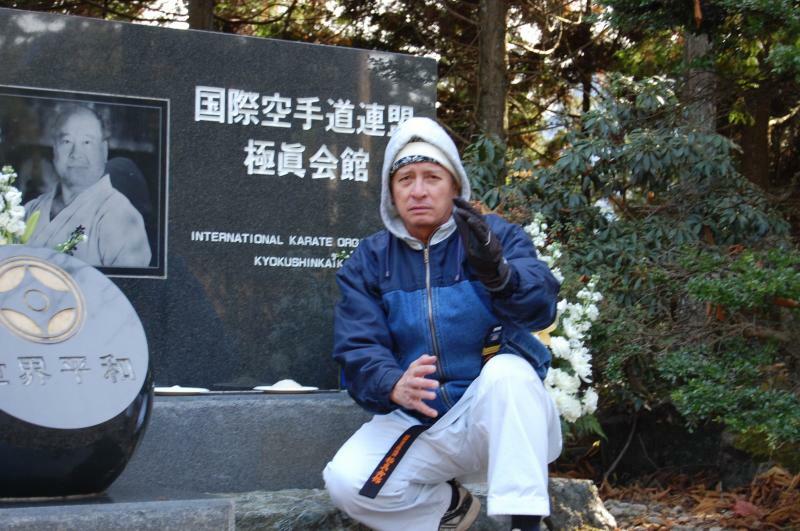 Tony and Fred Rodriguez visiting the Shrine of Matsutatsu Oyama on Mount Mitsumine November 2007. 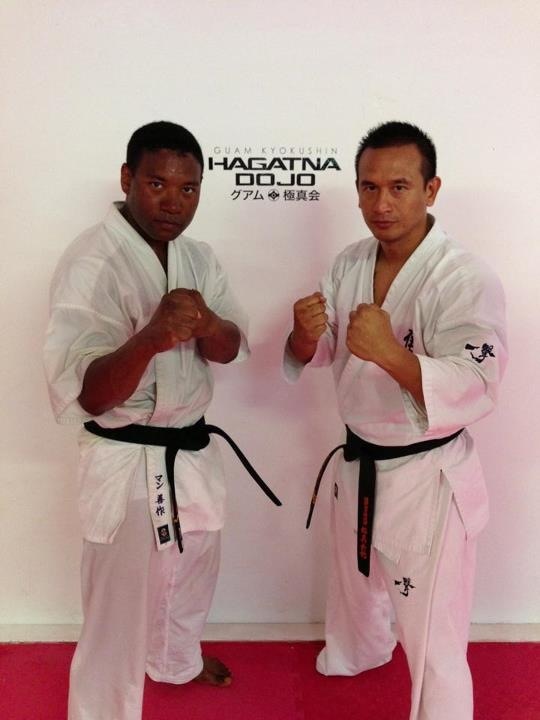 Sensei Joaquin Pangelinan with Sosai Oyama. 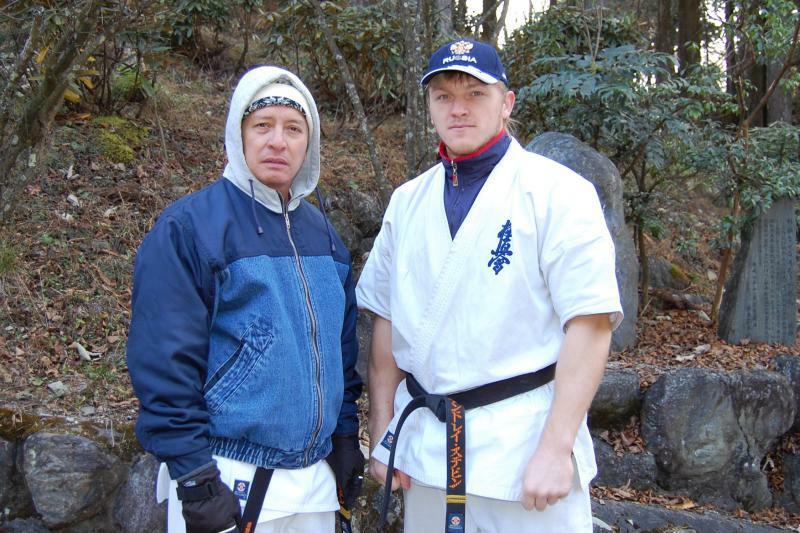 Sensei Joaquin and Russian Fighter, Andrey Stepin--Mount Mitsumine, November 2007. 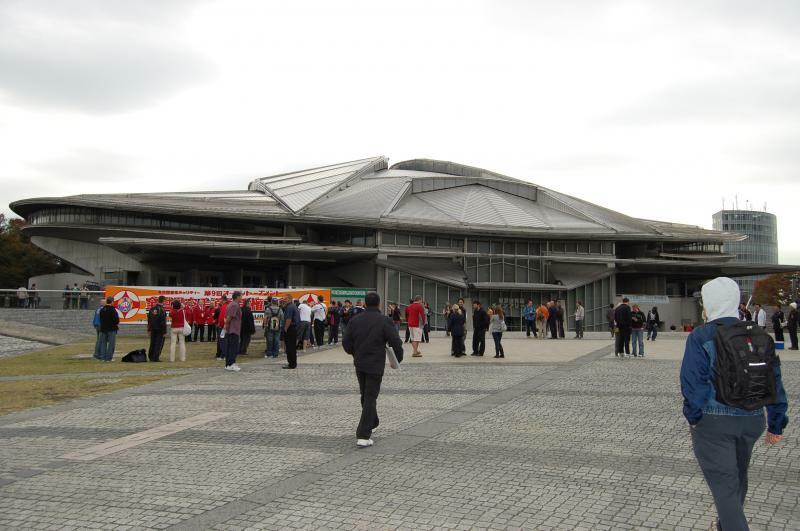 At the entrance to the shrine--November 2007. 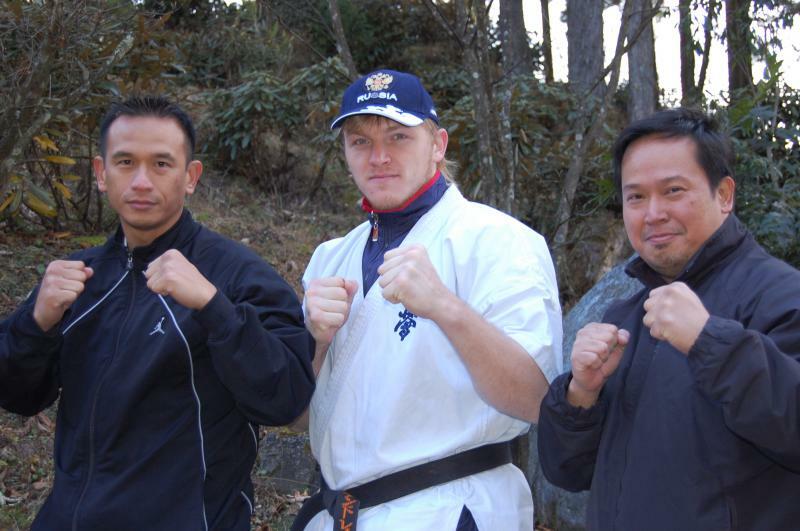 Tony, Andrey Stepin and Fred at the bottom of pathway leading to Oyama's memorial. 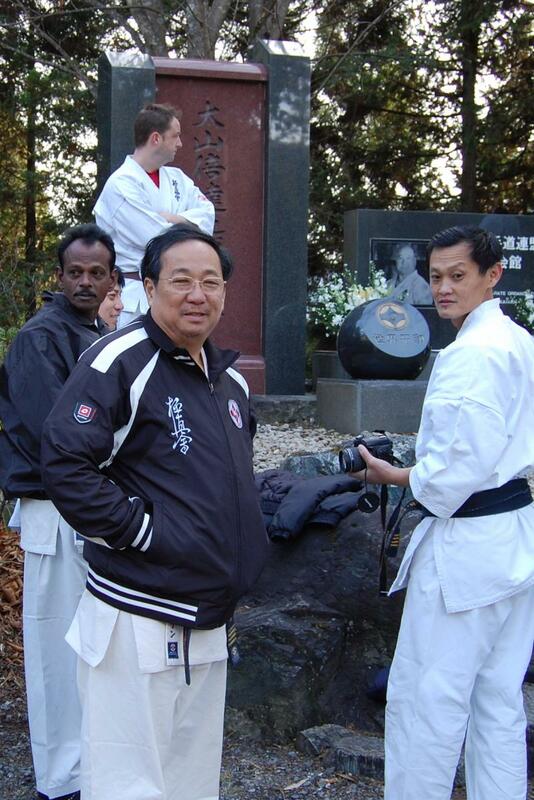 Min Lwin Branch Chief from Myanmar visiting Oyama's memorial. 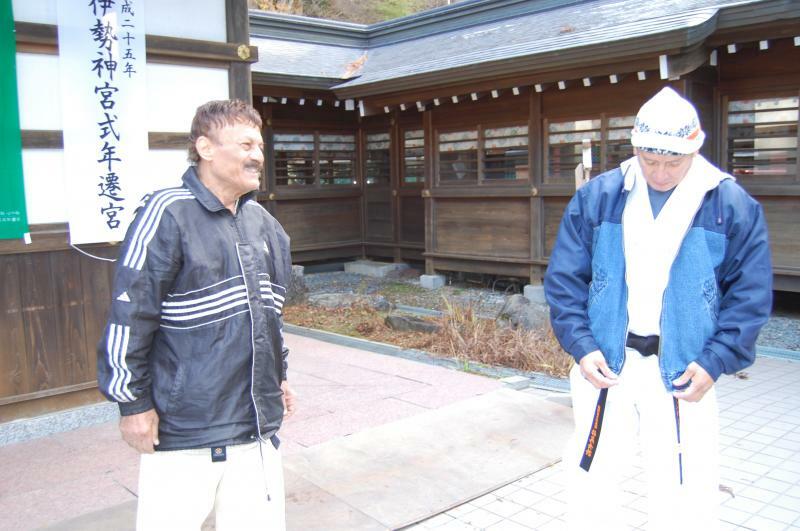 Branch Chief of Iran and Branch Chief of Guam chatting before training on Mount Mitsumine. Senpai Jennifer Campoy (KyokushinLA) and Senpai Fred on Mount Mitsumine, November 2007. 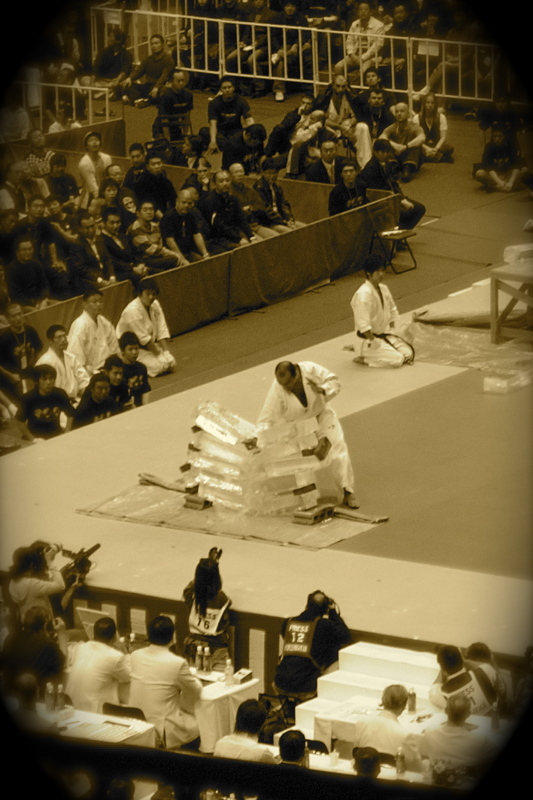 Shihan Francesco Filho breaking blocks of ice! 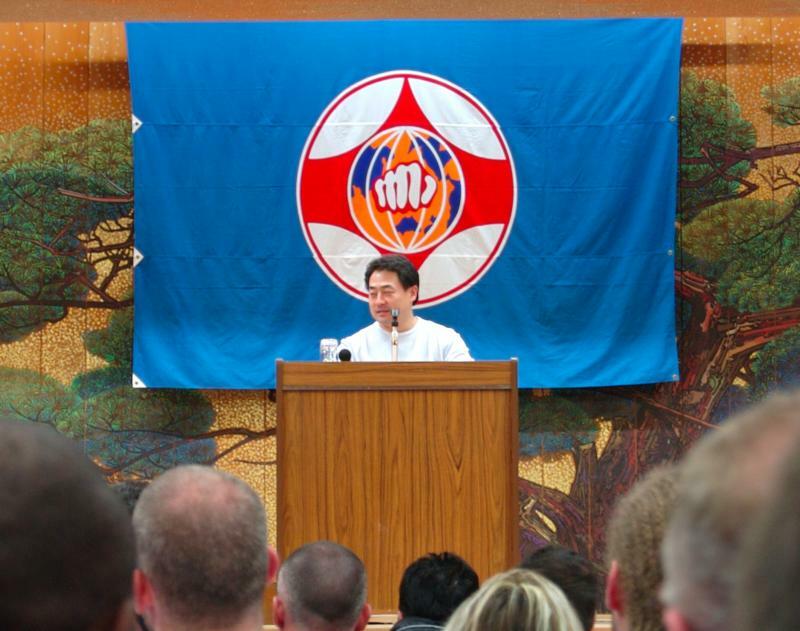 Guam Kyokushinkai Karate is affiliated with Kancho Matsui of the International Karate Organization. 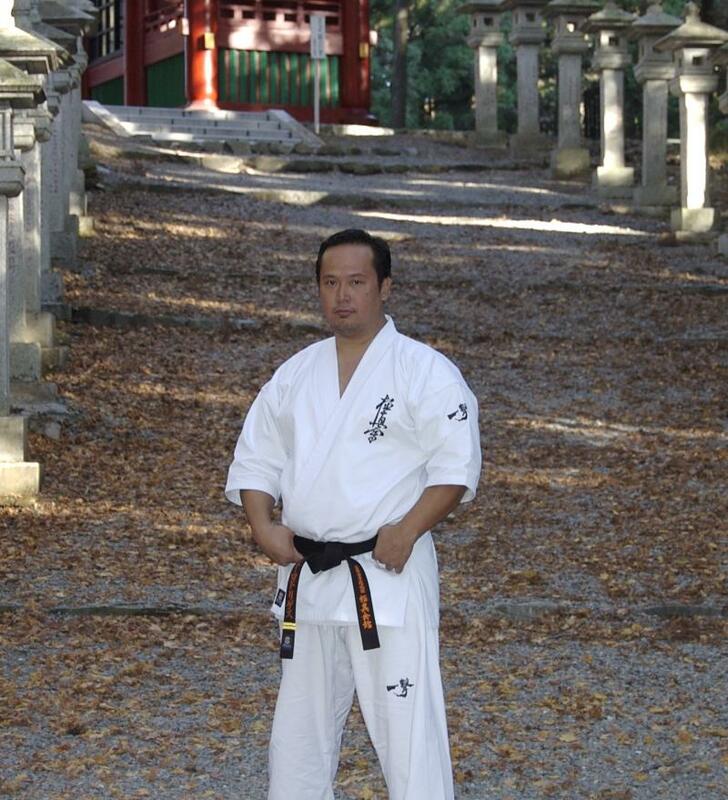 We train according to the standards of the Honbu Kyokushin Dojo in Japan. 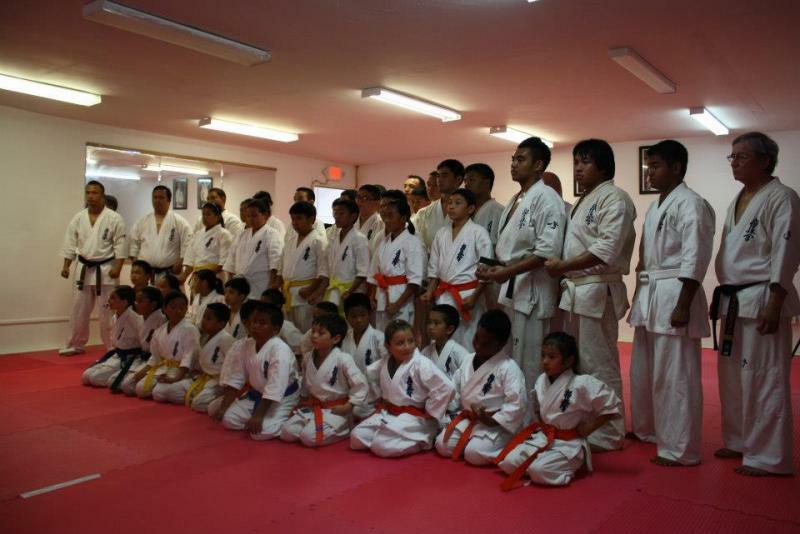 ©2018 Guam Kyokushinkai Karate. All rights reserved.